We will be exploring the teaching of the Threefold Way - Ethics, Meditation and Wisdom. 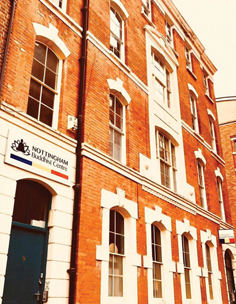 This eight-week course is an ideal introduction to both meditation and Buddhism and is the best way to get a taste of what we do at the Nottingham Buddhist Centre. You will learn both of the meditation practices that we teach - the Mindfulness of Breathing and the Metta Bhavana. We will also explore Buddhism by looking at the Three Jewels - Buddha, Dharma and Sangha - and the Threefold Path of Ethics, Meditation and Wisdom. Buddhism is a path to train our minds and throughout this course, we will explore together how it is practically relevant to our own lives, and how it can help us bring about real change both within ourselves and in the world around us.